If we had to talk about fashion today, “comfy,” “relaxed,” and “casual” might come out as common descriptions. After all, it’s the age, if you will, of loose silhouettes, oversized pieces, and convenience. We’re all for easy-to-wear—both in the act of actually putting on clothes, and in the act of styling it. The rise of athleisure, streetwear, and normcore add to this, too. In recent years, we’ve also seen the rise of so-called “ugly fashion”—we’ve seen it all over runways: the return of chunky sneakers we used to wear as kids in gym class, and even the socks-with-sport slides combo we’ve seen on one too many tito (and famous musicians like Kanye West and Snoop Dogg, too). But if anything, this just proves the versatility of today’s fashion, especially footwear. The slide, which has become a style staple now, not just for the sporty but even for the most fashionable, is currently at the forefront of the trend. Easy to wear and style for both men and women, the slide traces its origins to as far as ancient Greece (CR Fashion Book notes that the etymology of the word “sandal” is Greek). Despite its possibly long history, the form—a flat footbed with a strap across the foot—remains pretty much the same to this day, standing the test of time. Materials have changed though, now ranging from wood, leather, and cork, to satin, faux fur, and rubber. 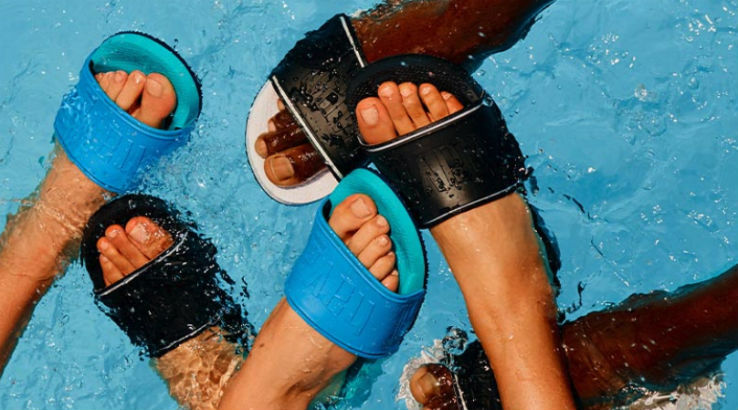 Havaianas, known to be a staple for summer outfits with their classic rubber thong flip-flops, has come out with their own versions of the slide. “The material, the clean silhouette, and the color palette are just as easy to match with your swimwear as they are with your city OOTD when you want something casual that doesn’t make you look like you are trying too hard,” says Anne Arcenas-Gonzalez, founder of Terry S.A., which distributes Havaianas in the country. The Havaianas Slides come in seven colors, making it easy to mix and match with a variety of fashion styles and occasions. The Havaianas slides are available online and at Havaianas and All Flip-Flops stores nationwide for P1,799. For more information, visit havaianas.ph, like us on Facebook, or follow us on Instagram (@havaianasphilippines) and Twitter (@havaianasphils).